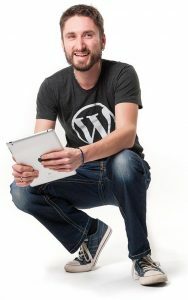 My name is Florian, the developer of all the plugins you can find here on wp-buddy.com. You can be sure that all support request will land in my own inbox and I’ll answer them on my own. No third party company is involved here. The support form on the next page is the direct line to me. You can be sure that your request will be answered by a real human. If you’re friendly and wish me a good day in your first sentence of your support request, you’ll get the same friendliness back. All plugins are used on my own websites and projects and that’s the reason they exist. Of course sometimes there are limitations that I’ve not yet seen. But I’m more then happy to help and improve my plugins even further. That’s why I’m here for. You can really help me if you follow these steps first to avoid asking the same questions over and over again. Thank you very much! Read the FAQ-Sections first. You can find it in the documentation delivered with your product. It’s usually named “documentation.pdf”.